The F-14 will always be my favorite, but the F-22 makes quite a compelling argument. I mean, just look at that thing. 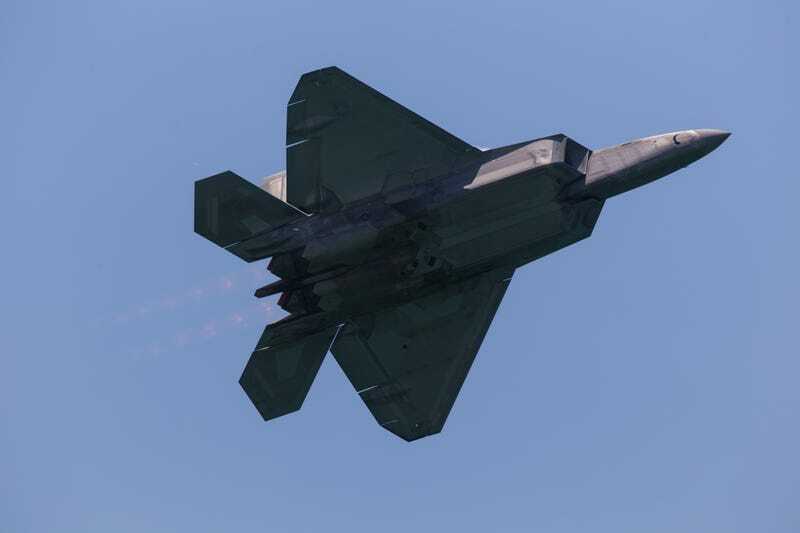 If you have never had a chance to see a Raptor demonstration, you are missing out. The way this plane maneuvers is unreal. I was disappointed to see that the F-35, B-2 and B-52 were no shows, but maybe I misread the website and shouldn’t have been expecting them. Either way I was happy to see the B-1 again after so many years. I love my new lens. I swear I like cars too. I leave for Canyonlands this weekend so prepare for nature/truck/moto pics.